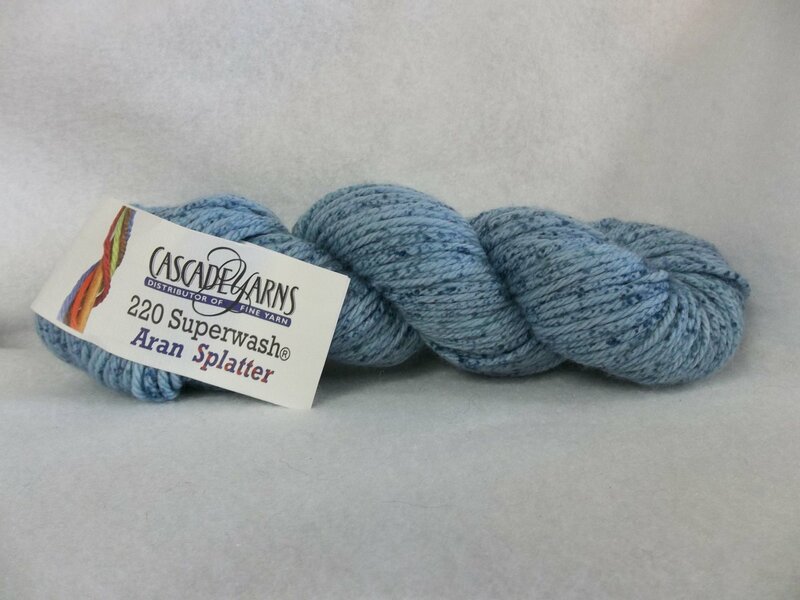 Aran Splatter is an Aran weight yarn of 100% superwash wool. A paler color provides the background and it is speckled with a darker shade of the same colorway. 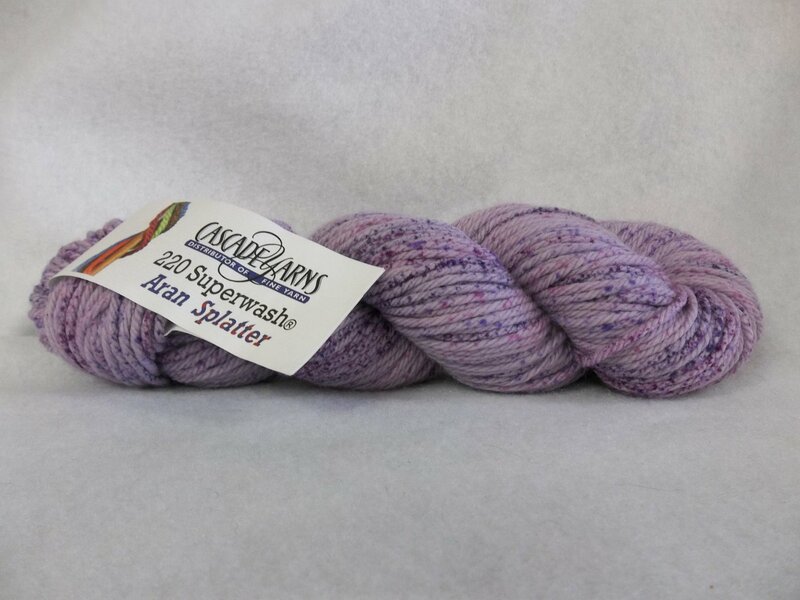 Each 3.5 oz/100g skein contains 150 yds. On a US 8 or 9, it knits to about 16-18 sts. in four inches. Machine wash cold, tumble dry low. Made in China.